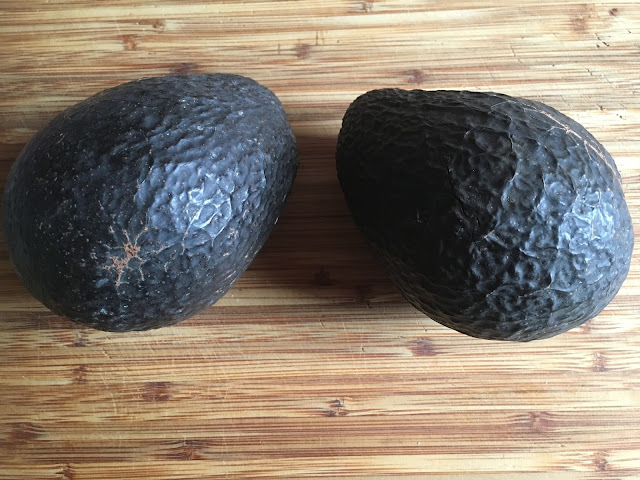 We have had a very bad season for Avocados. They are retailing at very exorbitant prices, and the quality has left a lot to be desired. The nation is in the throe of an Avocado woe - I kid you not! Can you then imagine my response when I was gifted these today, home grown here in Hamilton. Believe me we aren't mucking around with these (very large) babies and risk them going off.